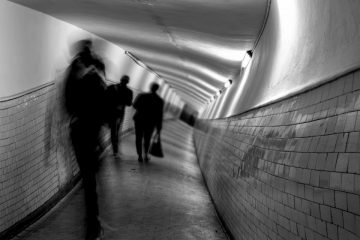 Scientists at the University of Oregon say they’ve come a bit closer to understanding what happens in the brain when we hallucinate. All they had to do was trip out some poor mice. Given that mice aren’t known for their sparkling conversation, you might assume that we couldn’t use them to study hallucinations. However, according to study author Cristopher Niel, a biologist at the University of Oregon, they can be an admittedly imperfect proxy for people. For their experiment, they dosed mice with a drug called 4-iodo-2,5-dimethoxyphenylisopropylamine (DOI). What does this do to people? Well, DOI’s psychedelic effects are similar to those of LSD. But unlike LSD, it’s not a scheduled controlled substance in the U.S., making it easier for scientists to obtain and use in animal research. Their findings, published Tuesday in Cell Reports, were somewhat surprising. Rather than seeing frantic brain activity in the visual cortex, the area that processes the information the eyes take in, they found that the brains of tripping mice were actually taking in less information from the outside world, compared to a control group of mice. Given that psychedelic drugs are now being studied for their effects in treating depression and anxiety, that same knowledge could also help us gain insight into how these drugs interact with the brain.